shots of friends and teachers. Don't be disappointed at delivery time. Yearbooks are due to arrive within the last two weeks of school. 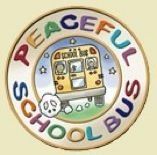 You are responsible for making your bus a PEACEFUL one! There is no supervision before 7:55 a.m. or after 2:45 p.m.
Breakfast is served between 7:55 AM and 8:10 AM. Students should report directly to the cafeteria to ensure time to eat breakfast. in the morning so that we know where your child is. the dismissal routine is for your child. front entrance to pick up your child. It is not safe for them to run through the parking lot. The Town of Thornton is named after Matthew Thornton, one of the signers of the Declaration of Independence. Thornton received its first grant from the Governor of New Hampshire, Benning Wentworth in 1763. The first grant provided for a settlement of fifty families, all of Dutch and Scotch Irish backgrounds from Londonderry, N.H. A second grant issued in 1768 to Matthew Thornton, his brothers Hames and Andrew, his father-in-law Andrew Jacks and his brother-in-law Andrew Jacks, Jr. increased the settlement to ninety families. Dr. Thornton became a member of the New Hampshire colonial Legislature in the years preceding the Revolutionary War. He took part in the patriotic agitation against the various tax measures the British tried to impose on the colonies. After the outbreak of war in 1775, Matthew Thornton was elected President of the Provincial congress of New Hampshire. He became Chairman of the colony’s Committee of Safety to raise troops and arms. He helped prepare a constitution for the state. In the fall of 1776, Matthew Thornton was elected as one of New Hampshire’s delegates to the Continental Congress. Although he took his seat four months after Congress had voted independence, he was allowed to sign his name to the Declaration of Independence because of his strong patriotic feelings. During his retirement, Matthew Thornton lived on a farm he owned near Merrimack. He died on June 24, 1803 and is buried at Thornton’s Ferry near Merrimack, N.H. Thornton’s report states that the gavel used to conduct our Town Meetings is made of the wood from an elm tree planted by Matthew Thornton. In 1784, the town voted to build the first meeting house. This building was completed in 1789 near Crawford’s Field on Route 175 north of our school. Both religious and business meetings were held in the meeting house. In the mid-1800s, Thornton had twelve school districts. By the end of 1800s, District 10’s area of town became part of Campton, and District 3’s school was closed in 1874. Schools were closed when the population of children wasn’t sufficient to keep them open. There were so many schools in town, because all of the children had to walk to schools in the 1800s. The schools were open for two terms of approximately ten to twenty weeks each. The teachers were expected to keep discipline in their classrooms, teach grades 1-8 all in one room with very few teaching materials to use, start the fire to keep the building warm, haul the water for the children to drink. As the years progressed some schools were closed and the fewer students of each district were transported to three of the 10 district schools still open. The lack of space, larger numbers of students and the need for a broader education, the people of Thornton came to realize the importance of a consolidated school. It was finally voted on and as a result was built and ready for occupancy in 1955. In 1974-1975 the town’s people voted and approved of the addition of a gymnasium, a new kitchen with its own equipment and a new entrance with a covered walk leading to the doors. A second edition was made in 1987-1988. This was built at the back of the school with two floors and added more classrooms. In the summer of 1996 two classrooms were constructed in the front of the building between the two “ells” of the school. This added more space available for the school’s needs. The latest construction was in 2010 with the addition of four rooms, administration office, a new septic system, new well and a separate library. Many generations of children and their families, along with many dedicated staff members have passed through the doors of Thornton Central School. Broad, Marjorie E. Thornton Memories. Thornton, NH: M.E. Broad, 1998.